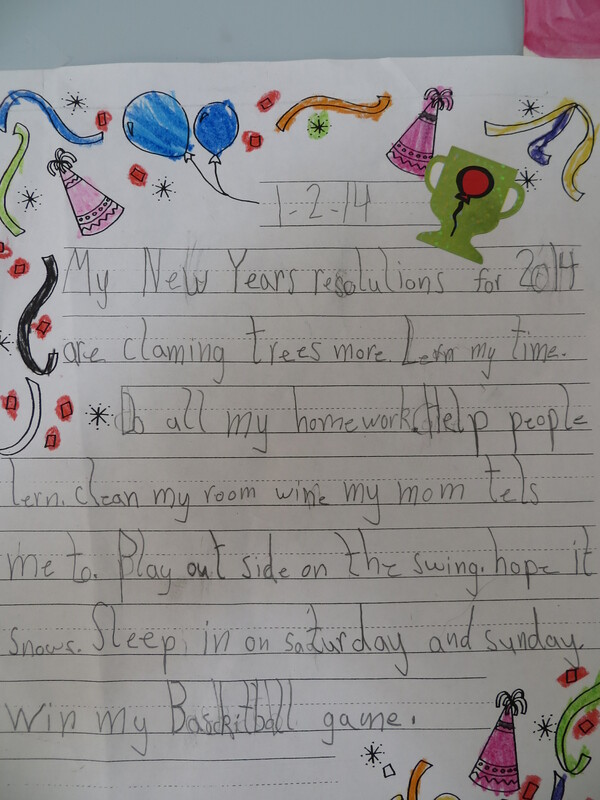 Before we get too far into the new year, I thought I would share Evva’s New Year resolutions. We thought they were inspiring and fun(ny), so William put them up in the kitchen. I love that she wants to climb trees more, “hope for snow”, and sleep in on weekends (could you get your siblings to do it too?). It is admirable that she wants to help people learn, clean her room when I ask her, and learn how to tell time. She did not put this in these resolutions, but she told me a few weeks ago that she wanted to learn how to sew. I was pleased. 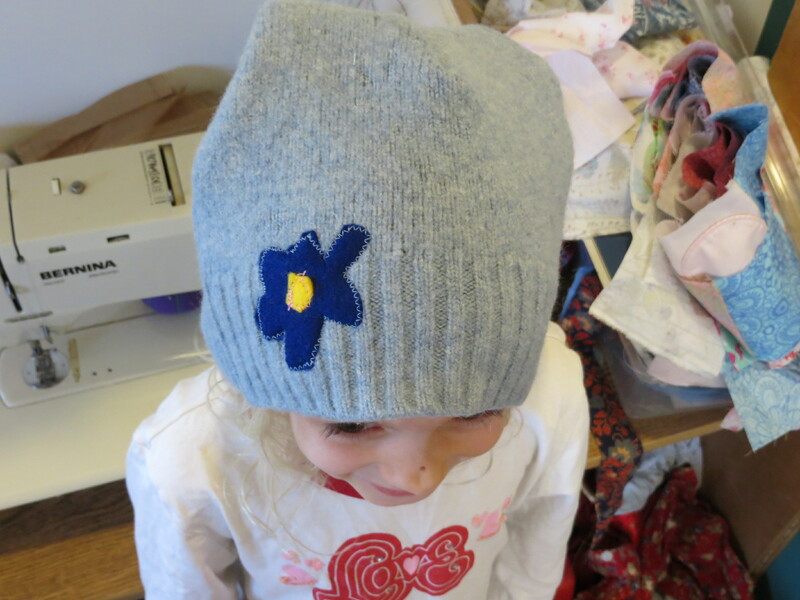 I will love passing on this skill of creating to her, as well (Anne started learning to sew last winter). It is a little challenging to find a project simple and satisfying enough for a child. I remember learning how to sew from my grandmother, an amazing seamstress I greatly admired. She wanted me to learn to hand sew first but I wanted to use the machine. Certainly, there is value in learning to hand sew, but a child does not have the practiced dexterity it takes to make small even stitches required to craft most things. I remember hand sewing a yellow dress for a Barbie. It was satisfying but difficult and not very pretty. When I asked to learn how to sew on the machine, my grandmother said I must be able to sew a straight line before I could sew any garments. To practice, I had to sew along the lines of many pages of notebook paper, which I did until I lost interest. It was not until I was in college, where I really had an urge to create with my hands, that I began to sew again. I was able to connect to my grandmother through sewing again and this time I really enjoyed it. I am still an amateur sewist, but I enjoy it. Anyway, I found a project for Evva from Handmade Home by Amanda Soule: sewing a hat made from an old sweater. She wanted to make it for her cousin’s birthday present. I had a nice wool sweater that someone had shrunk in the washing machine, so it was felted (and far too small and stiff for me or the girls to wear). So, I helped Evva measure, mark, and cut the sweater. She cut out a flower shape from some felt scraps I had. I sewed the flower on because it was more difficult with all the curves. She sewed the tucks in the hat and the two pieces together on her own, on my machine that once belonged to my grandmother. She was very proud of her work, and I of her. We both enjoyed it . . . and the love of creating continues. I am so very proud of Evva and Molly for teaching her. I am also proud of Evva’s resolutions. I am sure she can accomplish them except for ….snow!